The need: The NABS Stakeholder Needs Analysis found that vets regularly receive enquiries about sick, dead or underperforming cattle. Vets are pivotal in converting the enquiry into action – and this is a critical part of Australia’s biosecurity surveillance. 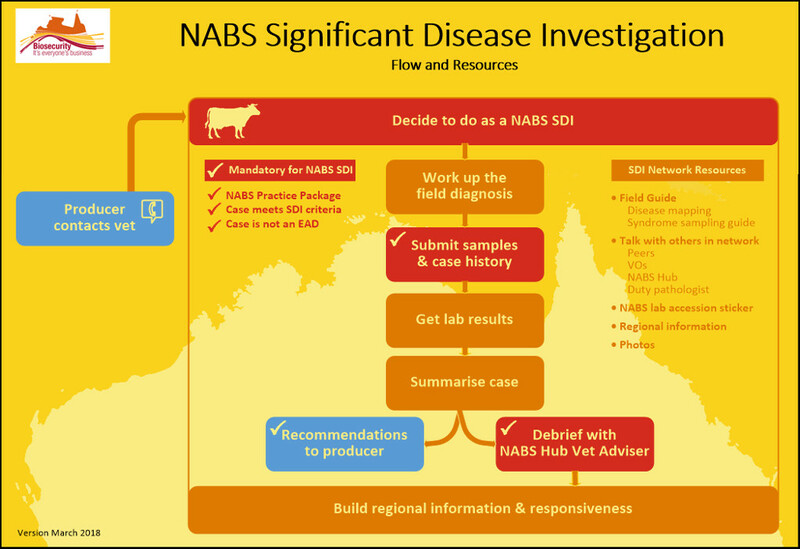 The NABS SDI Network was activated in 2017 to build the capacity for disease investigation of livestock in Northern Australian. Increase the capacity and willingness to act. Designing the evaluation instruments and reporting on lessons learned. The connectedness of vets who are on the frontline of disease surveillance across the north was significantly increased. A second NABS Masterclass will be held in 2019.